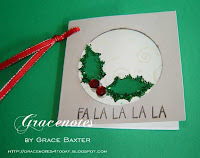 I'm getting a start on my Christmas tags with a variety of themes, all done in the traditional colours of Red, White and Green. My mind was swimming with ideas and I could barely focus on just a few ideas when I finally came up with these. More are on the way. 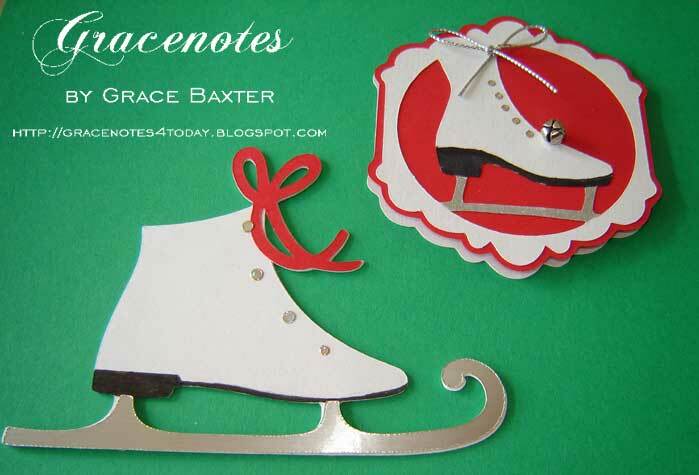 Ever since I was a girl I have always loved white figure skates. I used to be quite a good skater, and would stay out in the freezing cold, skating for hours until I could no longer feel my toes or my nose. What does that have to do with cards? Only that who we are comes out in the things we create. 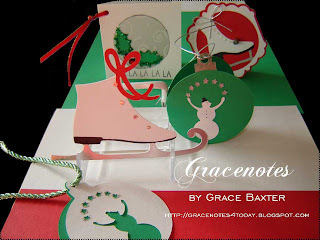 These skates are cut from two different cartridges: Winter Woodland and Joys of the Season. All shapes are cut at size 3. Notice the jingle bell on the red and white tag? 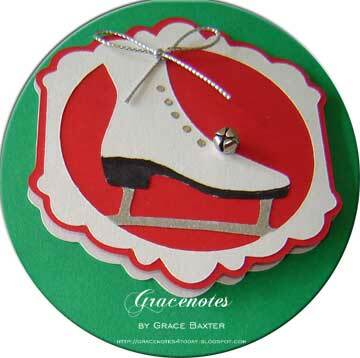 I ALWAYS used to put jingle bells on the toes of my skates. It was so much fun to hear them jingling as I skated around the outdoor rink. Skates are so bare without them! There always needs to be a touch of holly. This little card is 3x3". The window is backed with swirly vellum. 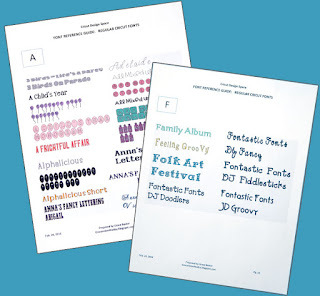 This was cut using the card feature with another layer for green leaves. Then I added some coarse green glitter to the edges and red rhinestones for the berries. 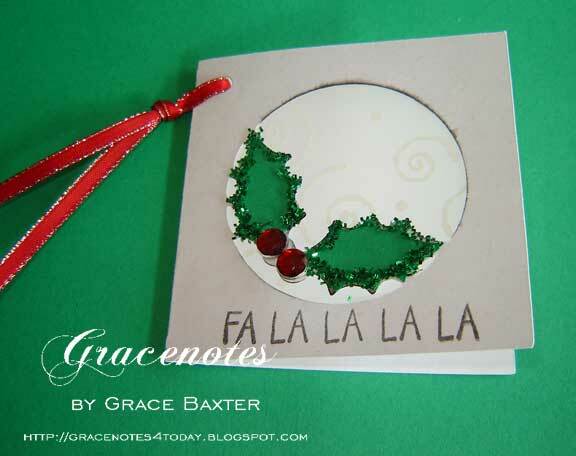 I used a small stamp for the "Fa la la's" and added a red ribbon for attaching to a gift. This is such a cute cut from the JOTS cartridge. 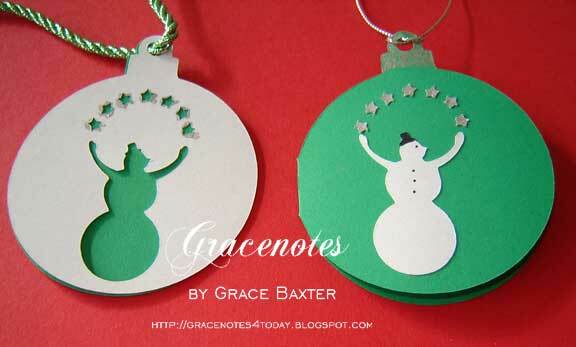 I used the positive and negative cuts from the snowmen and it gave me two tags. On the green tag, the ornament top is painted with MS silver paint marker. You can see the reverse one on the left shows a bit of the silver paint around the cutout stars. I call it "star glow". These are really sweet. Love the bell on the skate. Makes me want to go and make a cup of hot chocolate! LOVE your Oh Christmas Tree poem, mom! SO cute. Aww :) Lovely job as always. This blog is SOME kind of cheery. Can't wait for Christmas and can't wait to see you.